This volume exposes some of the various issues raised in relation to Muslim communities in Europe by putting the intellectual and legal traditions into dialogue. It brings together a number of scholars of Shari’a and Islamic law with counterparts from the parallel European disciplines of hermeneutics, philosophy and jurisprudence, to explore how the processes of theological-legal thinking have been expressed and are being expressed in a more or less common intellectual framework. 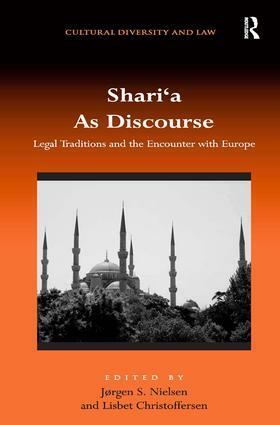 It provides a valuable reference for all those interested in exploring how Muslims and non-Muslims view Shari’a law, looking at ways the European legal systems can provide some form of accommodation with Muslim customs. JÃ¸rgen S. Nielsen is Professor of Islamic Studies and Director of the Centre for European Islamic Thought, Faculty of Theology, University of Copenhagen, Denmark. Lisbet Christoffersen is Associate Professor in Public Law at The University of Roskilde and Professor in Law & Religion, Faculty of Theology, University of Copenhagen, Denmark.